Johnson is gunning for his ninth straight win, and the seventh defense of the flyweight gold. Unfortunately, the division hasn't caught up, the public hasn't caught on, and we're left with a meh feeling about a fight between two of the best, if not THE best, in the division. Since beating Dodson in January 2013, Johnson has finished four of his last five. We're seeing greatness, but we don't fully appreciate it. 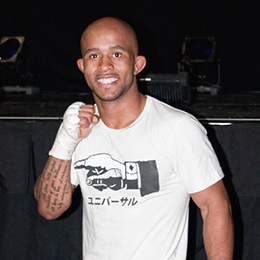 The 30-year-old Dodson has won his last three, but due to injury, those have been spread over a three year span. He returned with a relatively listless win over Zach Makovsky in May. He's talked a good game, but the oddsmakers don't seem to think he's going to back it up. I've said it enough, but I need to say it one more time: Arlovski should be prepping for a heavyweight title shot. But, he very well may be with a win here. Double A has won five straight, including an unlikely 3-0 in his latest Octagon run. He's coming off a Fight Of The Year candidate in his first round TKO of Travis Browne, and finally will face a fellow MMA veteran in Mir. It's become easy to dismiss Mir, but scan through his Wikipedia page sometime. It's incredible. Left for dead in the public eye after four straight UFC losses over three years, Mir knocked out Bigfoot Silva and knocked out Todd Duffee to roar back in 2015. At 36, is the two-time UFC heavyweight champion ready for one more shot at the gold? Johnson has had quite a 2015, going from comeback story in decimating Alexander Gustafsson to heel after tossing a woman's yoga mat across a floor and then having answer questions this week about what he does to dog ears. Seriously. He's coming off a light heavyweight title shot loss to Daniel Cormier, which snapped an eight-fight win streak. The 35-year-old Manuwa was last seen downing Jan Blachowicz by decision, a rebound from his first career loss to Gustafsson. Manuwa had won his first three UFC fights due to either a doctor stoppage or leg injuries, two to be exact. Yeah, this is a PPV fight. Originally slated to face Anthony Johnson, the 32-year-old Blachowicz saw his six-fight win streak snapped in a decision loss to Manuwa earlier this year. The 25-year-old Anderson was tagged with his first career loss in April at the hands of Gian Villante. America's MMA Sweetheart looks for her third UFC victory in less than a year, and is coming off an April one-sided beatdown of veteran Felice Herrig. The 21-year-old faces off against 36-year-old Chambers, an Australian that has fought sparingly over her career. She's coming off a May submission victory over common opponent Kailin Curran. Ryan Frederick is in Las Vegas to do live coverage for us tonight. Check out his coverage, will ya?